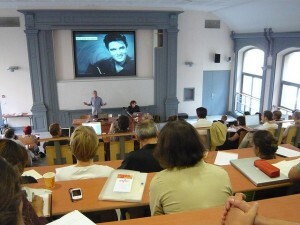 The Centre for Open Electronic Publishing will hold the second Summer university in open electronic publishing in September 2011 in Marseilles on the theme the circulation of knowledge and the alliances between authors, publishers, librarians and readers around the digital book. The issue of business models for distributing open access content will be thoroughly examined. Finally, we wish to give a strong international dimension to the event by inviting several speakers to come forward and describe the situation in other countries. As in the previous edition, the training sessions will offer participants an articulated set of conferences, courses, workshops and debates. A tentative programme is already established: it is focused on the issues of new mediations, in particular learning centres, community management, print on demand, reading devices. Practical trainings in various Cleo tools and platforms (Lodel, Manuscripts, Hypotheses.org, OpenEdition) will also be offered to researchers, editors and information professionals. The second Electronic Publishing Summer university is organized with the support of the CNRS, the University de Provence, the TGE Adonis and Ciaco. If you wish to support this event and become a partner please contact us. Throughout the preparation of the event, the Cleo will publish new information as they are confirmed: specific features of the programme, announcements and presentations of speakers, new partners, etc. Stay tuned!